indianaquariumhobbyist.com » Forums » Cichlids » Need Confirmation if these are Cichlasoma salvini? http://indianaquariumhobbyist.com/community/ :: View topic - Need Confirmation if these are Cichlasoma salvini? Need Confirmation if these are Cichlasoma salvini? Posted: Sun Jul 18, 2010 3:13 pm Post subject: Need Confirmation if these are Cichlasoma salvini? 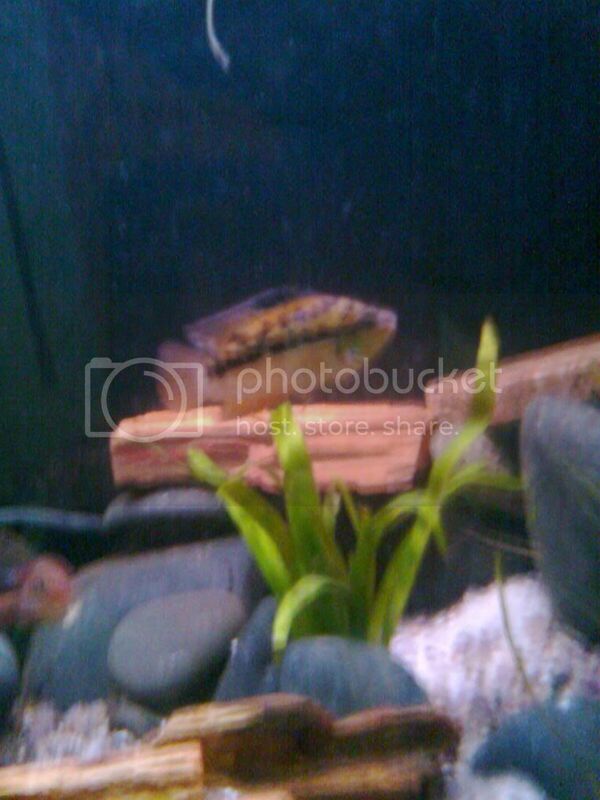 Can you guys check and confirm if the fish in the pics below are indeed Cichlasoma salvini? I am about 90% sure of this ID and I am 100% sure of the fact that the pics are terrible. I will go back there with a digi-cam and get proper pic. I realize they are very very aggressive towards others of the same species. I plan to keep only one male. The others in the tank are going to be too big to be bothered by this guy even when comparing adult sizes. Posted: Sun Jul 18, 2010 3:15 pm Post subject: Re: Need Confirmation if these are Cichlasoma salvini? 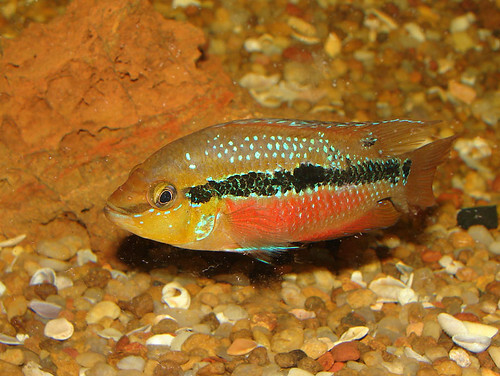 Also, if you can PM me the price for a Salvini cichlid at abour 2.5 inches, that will be really nice. Posted: Sun Jul 18, 2010 3:41 pm Post subject: Re: Need Confirmation if these are Cichlasoma salvini? Posted: Sun Jul 18, 2010 4:29 pm Post subject: Re: Need Confirmation if these are Cichlasoma salvini? yupp thats a cichlasoma slavini. mean as they can get they are very pretty fish. Posted: Sun Jul 18, 2010 6:08 pm Post subject: Re: Need Confirmation if these are Cichlasoma salvini? Posted: Sun Jul 18, 2010 6:21 pm Post subject: Re: Need Confirmation if these are Cichlasoma salvini? i got them at 3/4 of that price but they are worth the extra 1/4th or even 1/2. Posted: Sun Jul 18, 2010 7:52 pm Post subject: Re: Need Confirmation if these are Cichlasoma salvini? Thank you Hamza, Viresh, Mudassir and Hrishi. This information is going to help me haggle with the LFS to get a nice fish. BTW, this is the picture which had me sold for these beautiful fish. Posted: Sun Jul 18, 2010 7:59 pm Post subject: Re: Need Confirmation if these are Cichlasoma salvini? wow. thats a beautiful specimen! Posted: Sun Jul 18, 2010 8:46 pm Post subject: Re: Need Confirmation if these are Cichlasoma salvini? i have a pair of salvini for the past 2.5 years and trust me they look way way better than the pic you posted. usually people click them with flash on and that kills the color. if you see them in good lit tank you'll be floored by their colors. Posted: Sun Jul 18, 2010 9:18 pm Post subject: Re: Need Confirmation if these are Cichlasoma salvini? Posted: Sun Jul 18, 2010 9:43 pm Post subject: Re: Need Confirmation if these are Cichlasoma salvini? Whats the size of your salvinis now? any latest pics? Posted: Sun Jul 18, 2010 10:03 pm Post subject: Re: Need Confirmation if these are Cichlasoma salvini? It will be awesome if you can post some pictures of your Salvinis. <offtopic> The shop was closed by the time I got there (Kurla wholesale market)... And there was some big commotion about one store losing a whole shipment of fish (~10,000 pieces, several of those blue drums) as some the guy sending them across forgot to add some medicine/chemical to the tank. Posted: Sun Jul 18, 2010 11:42 pm Post subject: Re: Need Confirmation if these are Cichlasoma salvini? Posted: Mon Jul 19, 2010 9:47 am Post subject: Re: Need Confirmation if these are Cichlasoma salvini? This was one my juveniles, initially thought they were hormone fed for their colors. They kept it throughout their adult lives too. Posted: Mon Jul 19, 2010 10:05 am Post subject: Re: Need Confirmation if these are Cichlasoma salvini? I had seen a product increasing oxygen levels in the water, used in Prawn farming. There was a whole sackful of the powder on sale, supposed to be use for stagnant ponds where prawns are cultured from fingerlings. Would have loved to take a small quantity to try out in aquariums.